It’s time to break out of your boring fitness routine and discover the possibility of a fun, high-energy and rewarding workout. 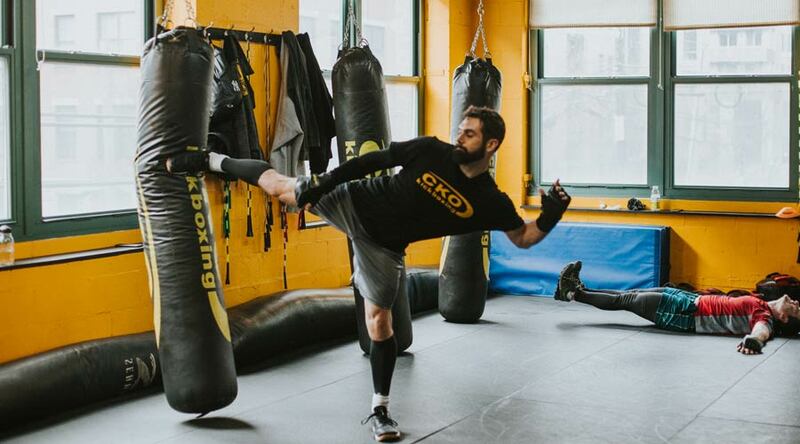 CKO Kickboxing Emerson offers classes in Westwood, Paramus and Oradell that keep you coming back day after day wanting more. Discover why we’re different by joining thousands of REAL people, hitting REAL heavy bags to get REAL results. Don’t be scared off by misconceptions of fitness-based kickboxing classes. Beginners are welcomed with open arms at CKO Emerson. In fact, most of our members don’t have prior kickboxing experience. Before your first class, we’ll brief you on the techniques the instructors use and what to expect. Our gyms are not intimidating, so it’s easy to jump right in. Just come with tennis shoes, water and loose-fitting clothes and you’re ready to hit the bags. Parking available in shopping center. CKO Emerson Triple Play First time guests only!